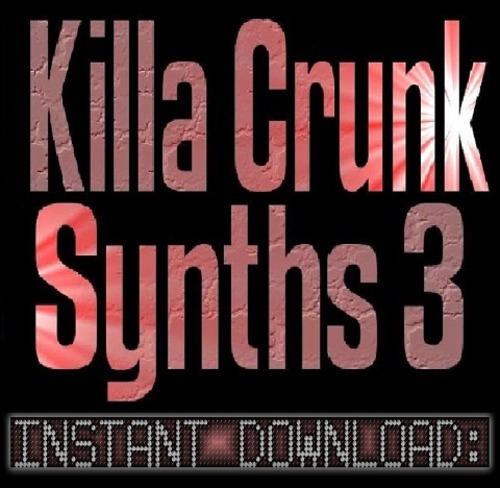 Killa Crunk Hip Hop Synths v.3.0 offers a massively sampled multi-layered synth library for the seasoned music producer. We've included brand new leads, pads, bells, stabs and tons of bonus samples to help aid you in your music production. Each sample has been carefully engineered and sampled for the highest quality. Instantly download this sample kit product today. * 500 individually recorded sample sounds in style of Hip Hop, R&B & Crunk! * Sounds sampled from the Korg EDS Synthesis Engine! * Hundreds of multi-layerd synths with longer sustain times then previous kits! * Multiple effects such as reverb, delay & chorus added to each sound! * Compatible with hardware & software sequencers that support 16bit .wav files!